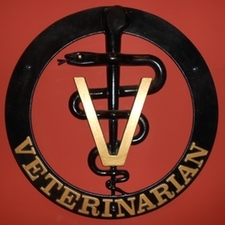 Westside Veterinary Service is a full service veterinary group providing an optimal level of care for all species of animal. From our two board certified specialists to our 24 hour emergency service, we are committed to providing high quality care for our patients. Our hospital is certified by the American Animal Hospital Association, meeting or exceeding all standards. We are dedicated to caring for your pet's needs from the youngsters to the mature adults. We offer a wide range of services to ensure your pet stays happy and healthy. Our doctors and staff encourage you to come in for routine visits which can range from immunizations and wellness visits to geriatric care for the older pet. We offer a wide range of diagnostics in internal medicine, dermatology, neurology, opthalmology and orthopedics. Our staff strives to offer the best possible care in critical and emergent care as well. Our surgical capabilities are adequate for all of your pets needs. We offer the general routine procedures such as spay, neuter, and soft tissue injuries as well as more complex procedures such as tumor removal and orthopedic surgeries. These can range from minor fractures to specialized procedures such as TPLO and FHO. Dr. A.D. Elkins and Dr. Noel Thomas are board certified and eager to assist you in these areas. In addition to our surgical capabilities, we offer complete dental care for your pet. When your pet visits us for a routine dental visit they receive an ultrasonic cleaning and polishing, fluoride treatment, and tooth extraction if needed. To continue good oral health we also offer various methods to keep those pearly whites shining like new with toothpastes, dental chews, specialized food, and water additives. We invite you to take a minute to get to know us. Our extensive medical team is excited to assist you in any way possible.